Once again skimming the late release on the Tuesday Sweep. For me that’s because I got sidelined by the combination of this week’s zone “Leave It Better” and the weekly task of a neglected inbox. As I was poking around my hosting service’s settings for setting up SSL, I realized that I had an old email address still active that I hadn’t checked in 5+ years. Yikes. I hate email. So I’ve been slowly cleaning that out one slow webmail screen of 100 messages at a time. It feels good, though, to purge the trash. It’s so easy to make digital waste disappear, but it’s making me think of all the trash in the real world. That’s historically been a real health problem, but we’ve banded together through government and created municipal waste services, even if the solutions aren’t ideal. If you’ve never run a business and had to pay for private trash collection, it’s hard to overstate what a value public trash collection represents. On a daily behavior front, the anti-litter campaigns of the 70’s and ’80s have done their work on me and I have a visceral negative reaction to the idea of becoming a litterbug. Public campaigns can work (PDF). It can take as little as 25% of a population to buy in to make lasting change in a culture. We can be that change in online culture. It’s worth it. Welcome. If you haven’t been following along, it’s okay. You’re not behind, you’re just where you are. Need a instant pick me up? Jump straight to our Easy Wins. There are more recommendations under Start Here. Feeling more ambitious? Just wait for the Learn section! If you’re in District 53, Miguel Santiago just hamstrung the CA Net Neutrality Bill. Just saying. Maybe you should give him a call. You can legally ignore Warranty Void If Removed stickers it seems. That’s cool. Bummed that wasn’t legal precedent for digital poking around, too. Protest without strategy is performance. Please keeping poking around for your own news to check this week! I’ve got still more emails to delete. LOL. We are a community. You are a welcome part of it. Did you learn something cool in your sweep? Make something? Share it! Like going to conferences? Maybe one is coming up! Show up at CRASH Space. I couldn’t pick just one. These pretty much all come from Tod. 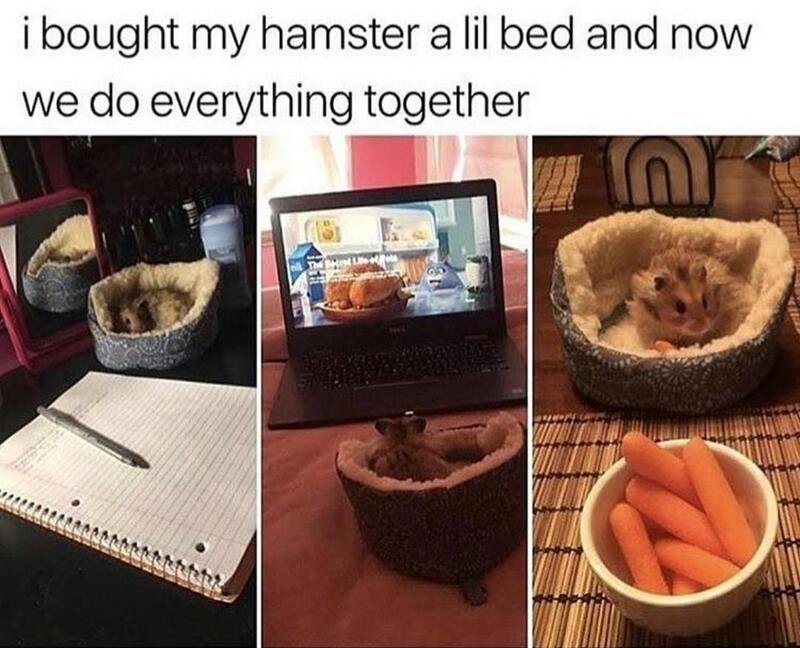 Except the Hamster Bed. That one’s from me.